We are pleased to inform you of the result of Euro Millions, which was held on the 9th December,2006. 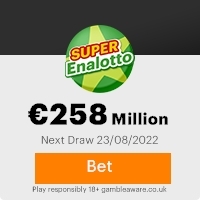 Your e-mail address attached to e-ticket number: 05-32-44-45-50 (01-07), with Prize Number (match 3): 106000007 drew a prize of 1,000,000.00 (One Million Euros).This lucky draw came first in the 2nd Category of the Sweepstake. You will receive the sum of 1,000,000.00 (One Million Euros) from our authorized bank. Because of some mix-up with sweepstake prizes, including the time limited placed on the payment of your prize: 1,000,000.00 Euros. Previous: END OF YEAR BONAZZA!! !Fresh ScamsNext: END OF YEAR BONANZA, C ... FICE! This Email with the Subject "CONTACT JAMES WILSON!!!" was received in one of Scamdex's honeypot email accounts on Tue, 19 Dec 2006 01:41:56 -0800 and has been classified as a Generic Scam Email. The sender shows as hoge@hoge3.orangehome.co.uk, although that address was probably spoofed. We recommend that you do not attempt to contact any persons or organizations referenced in this email, as you may expose yourself to scammers and, at the very least, you will be added to their email address lists for spam purposes.